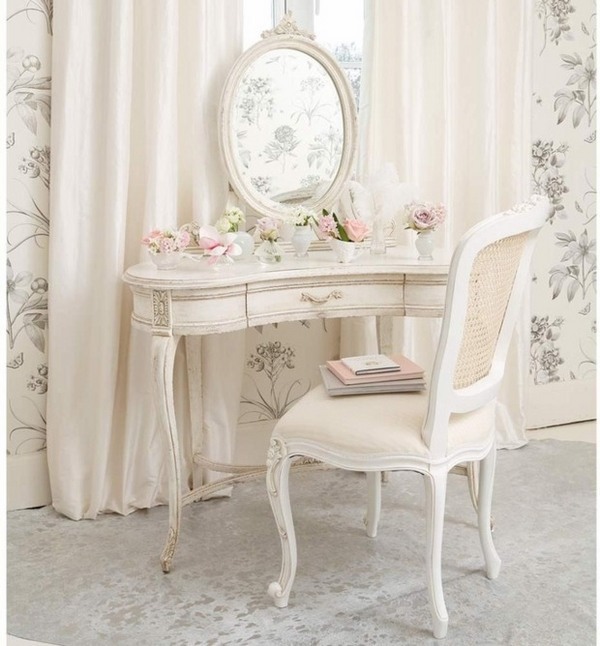 A vanity table is absolutely necessary for every woman. 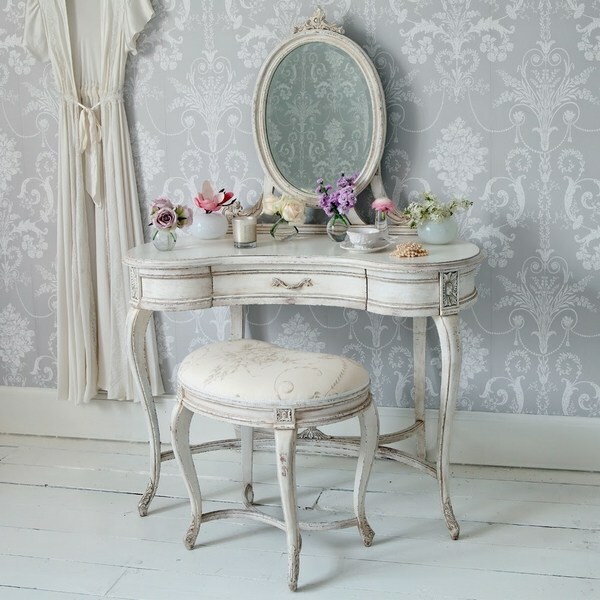 Women need to sit at the dressing table and to inspect themselves in the mirror. 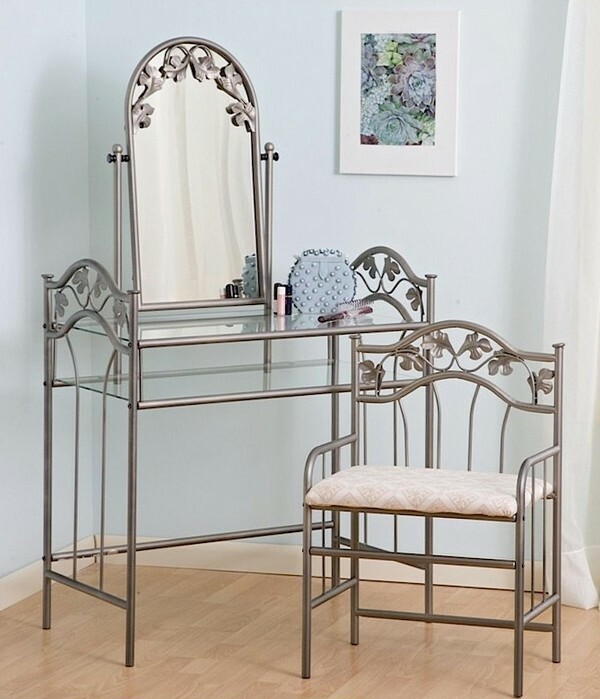 They love to be beautiful and for that women need to go shopping, visit beauty salons from time to time but most of all – have a place at home just for themselves where we can sit down every morning and perform our beauty rituals in peace and quiet. 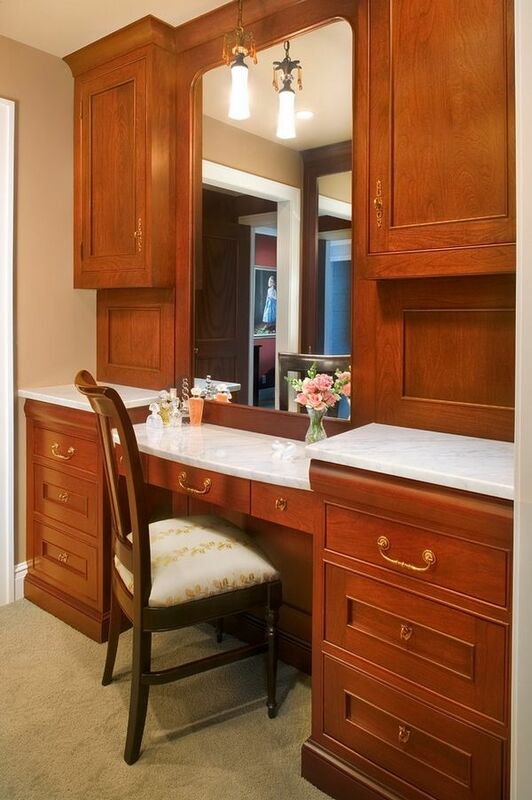 This is where the vanity cabinet becomes very useful. 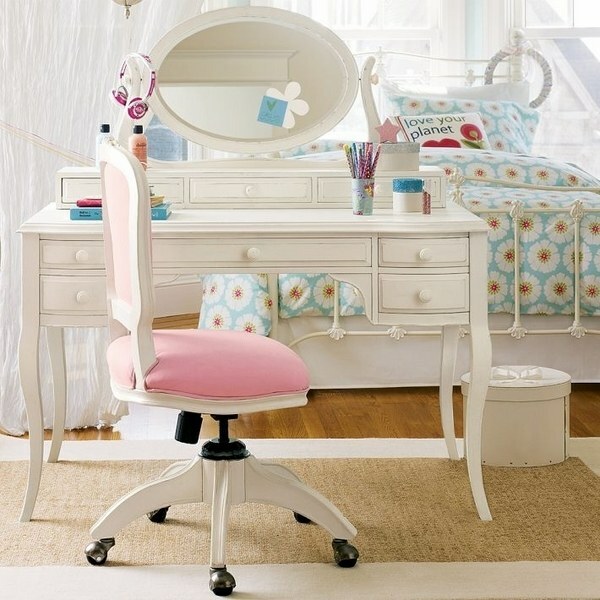 It is the furniture created just for girls that has everything we need – a mirror, a chair and multiple small drawers where you can store beauty products, makeup or jewelry. 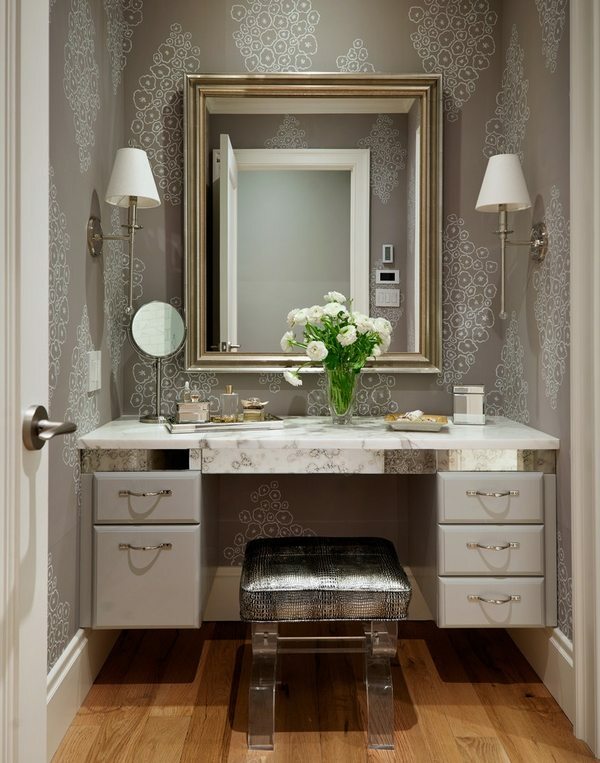 A vanity table has practical functions such as jewelry and makeup storage. 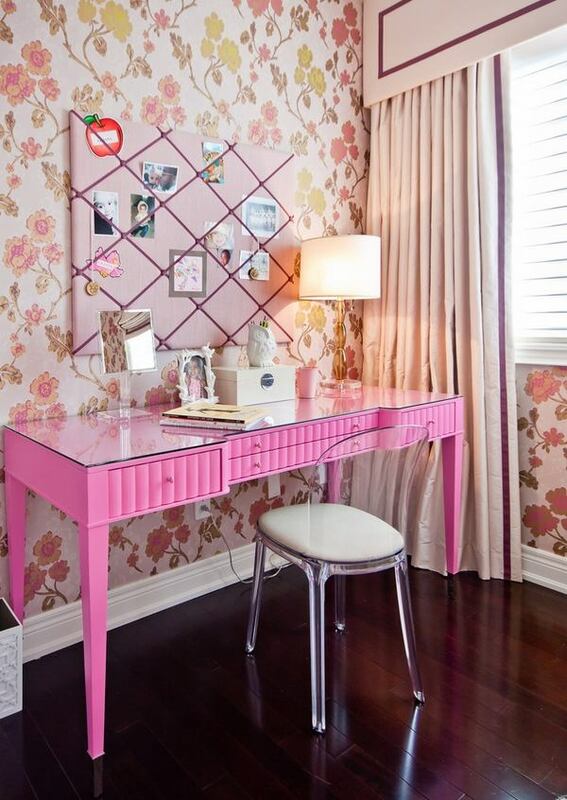 DIY jewel organizer frame ideas can be used as well. 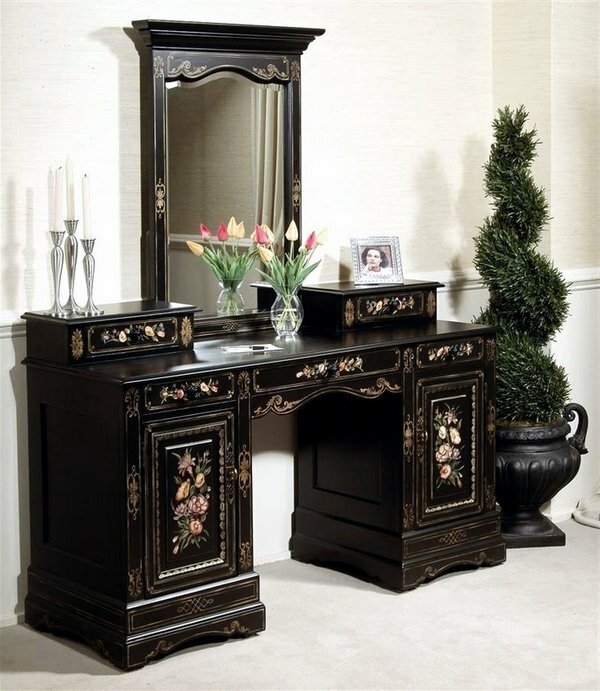 The drawers of modern vanities are often divided into separate boxes so that everything is stored neatly. 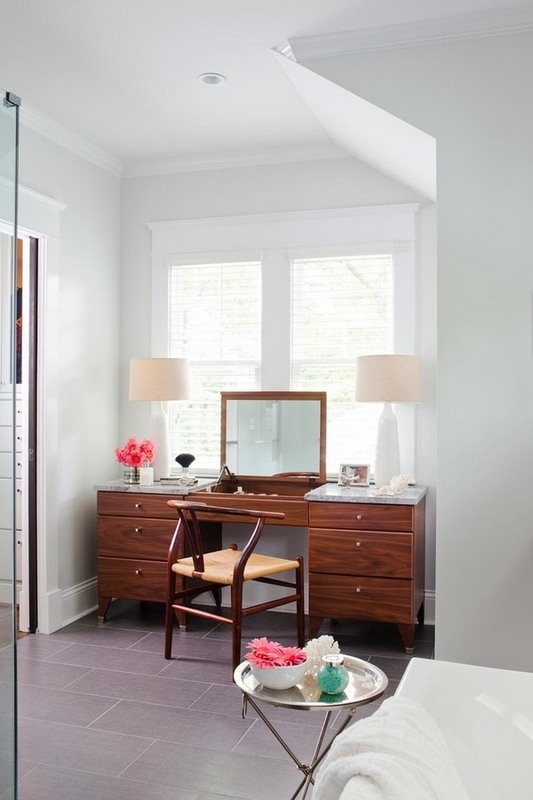 The mirror and stool are important additions, as well as the appropriate lighting. 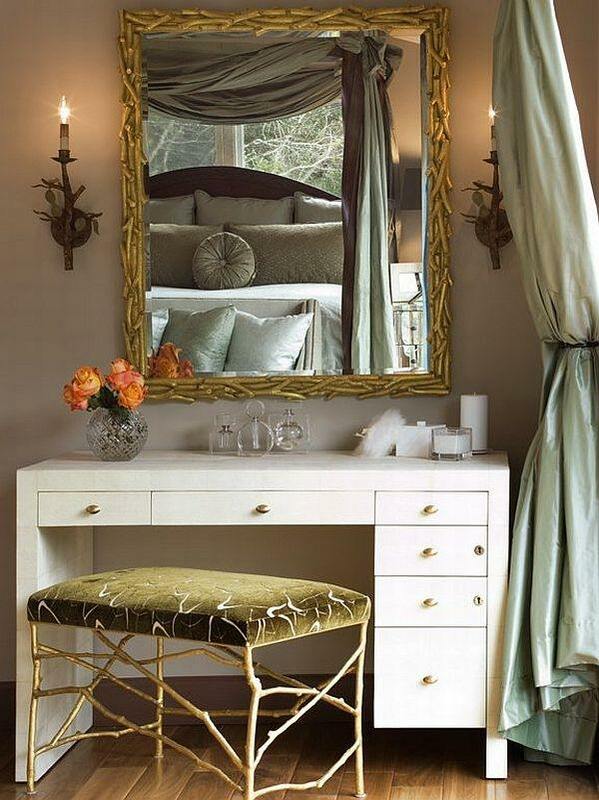 And if we want to choose a dressing table for the bedroom, we have to coordinate its design with the furniture. 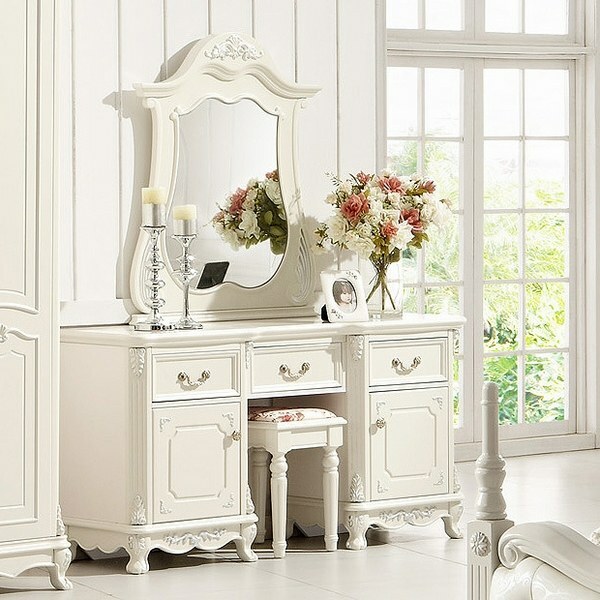 It is important to determine the style – classic or modern, the material – wood, glass or metal, and whether it comes with or without a mirror. 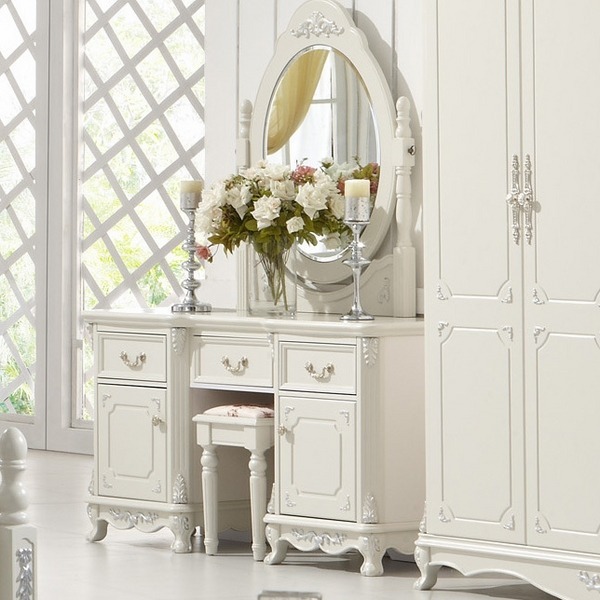 You have to remember that this is a furniture piece with character. 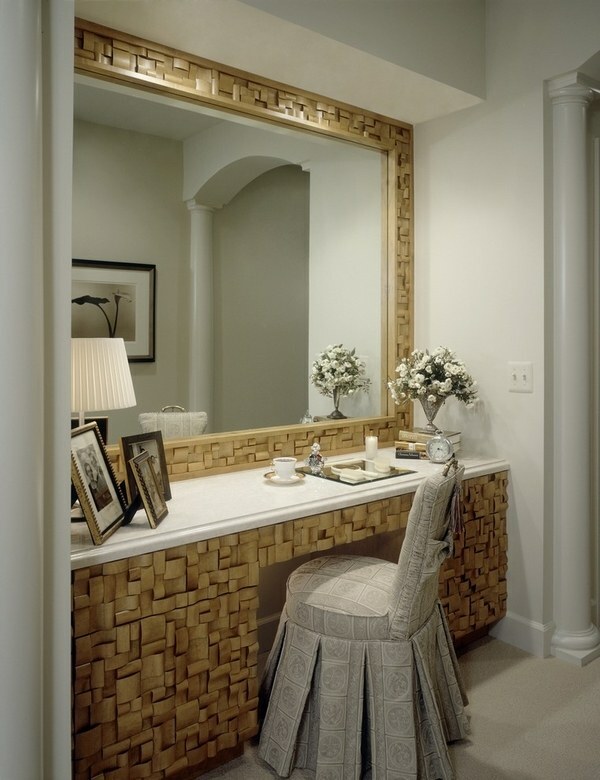 This is a private corner, hidden, intimate, this is the place where the woman remains without any masks. 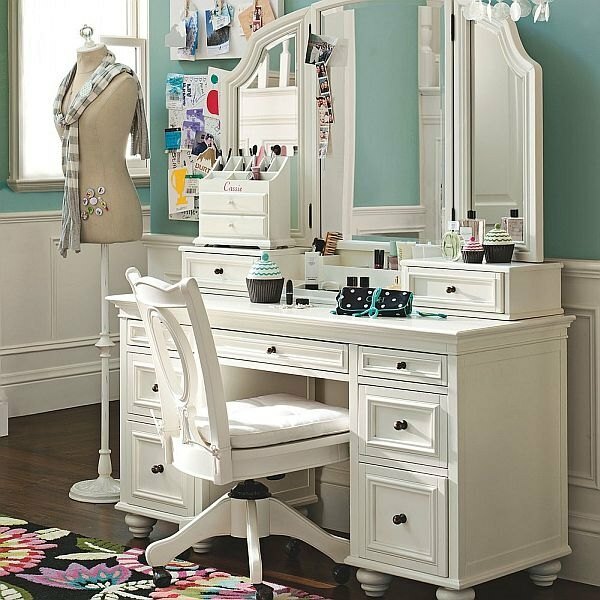 Choosing a dressing table is not something to do in a hurry. 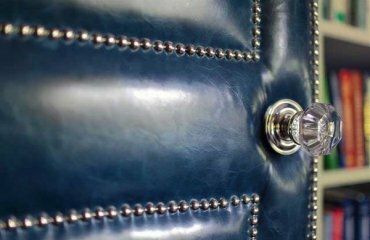 You have to pay particular attention to its functionality and design, the access to the drawers and how they are organized. 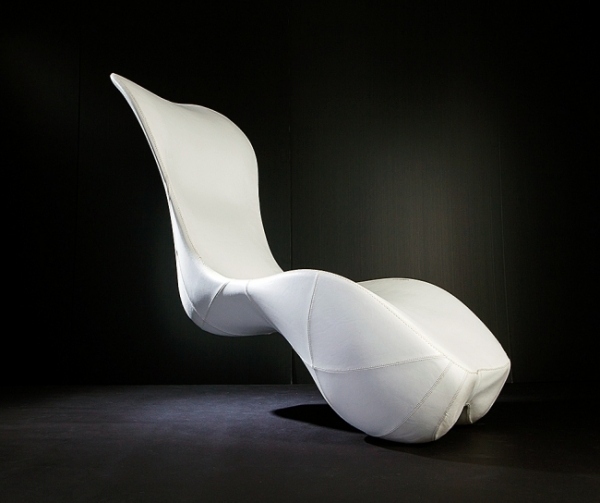 Take your time, sit down and try to see how it will look in your bedroom and how you will feel using it every day. 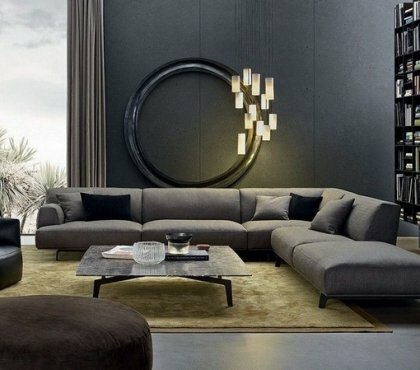 Check out these stunning designs and select your favorite! 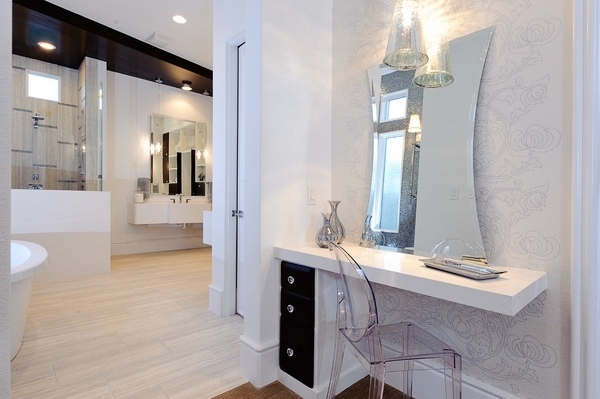 Sometimes bathrooms just haven’t got enough space to accommodate a vanity table. 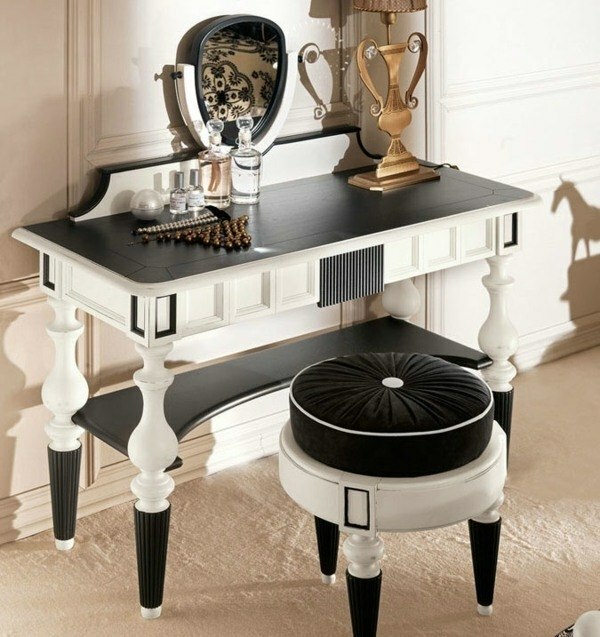 Although having one may seem like a luxury, in fact, vanity tables are quite convenient and have a place in the modern lifestyle. 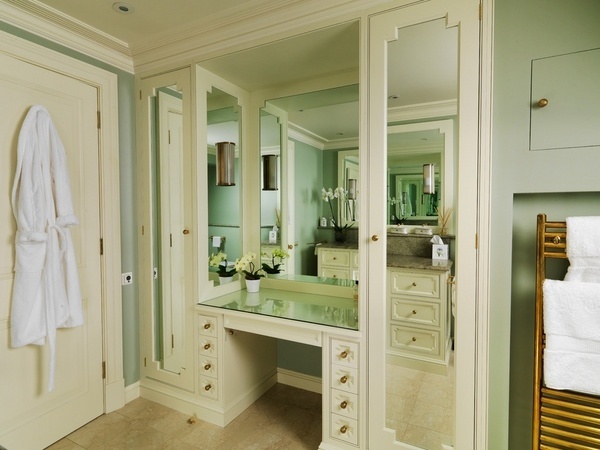 Dressing tables come in different shapes and sizes. 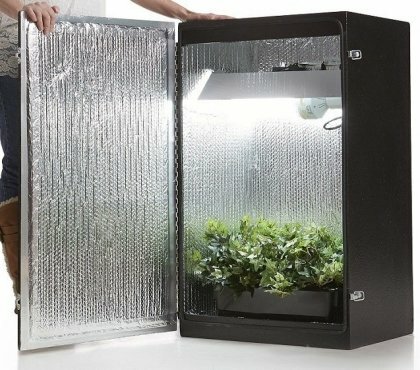 Most popular and practical are the rectangular ones with storage drawers. 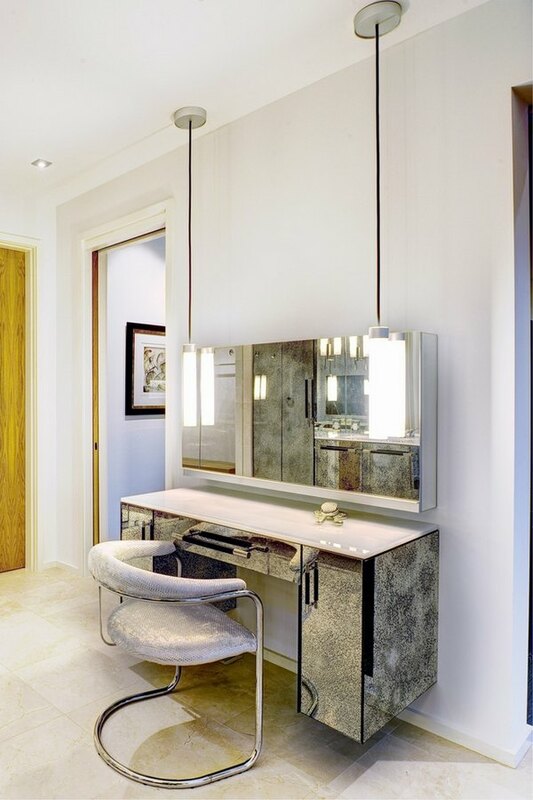 The kidney-shaped vanity table is also a popular shape with a softer, more feminine look. 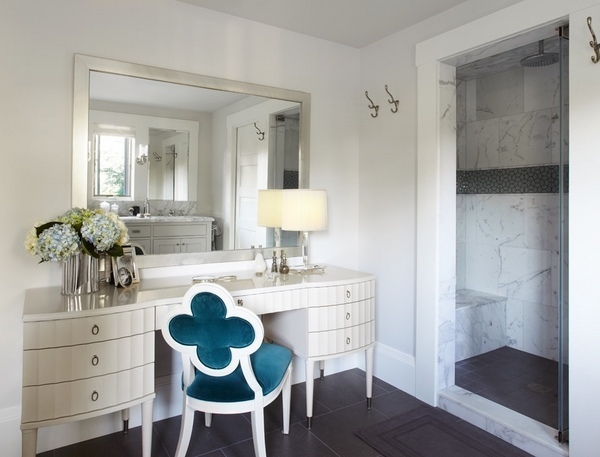 It has a rounded countertop with an indentation in the center where the woman takes her seat. 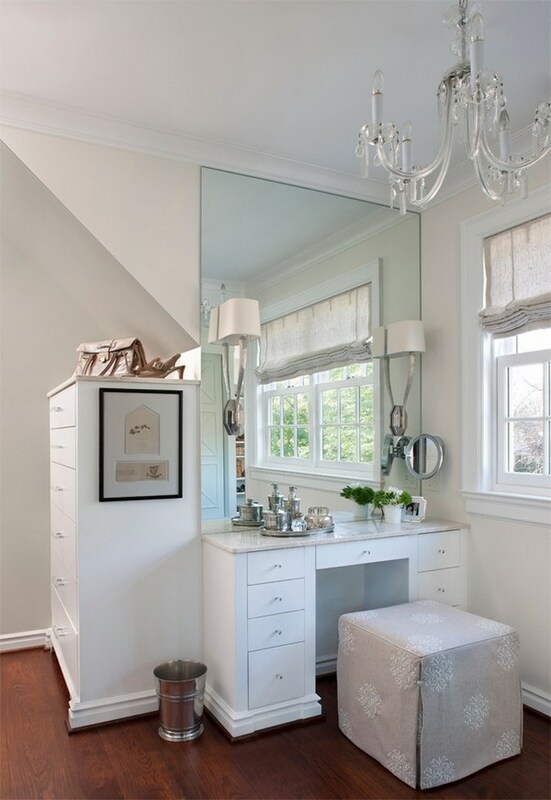 The mirror is a very important part of the dressing table so an option without one is practically useless. 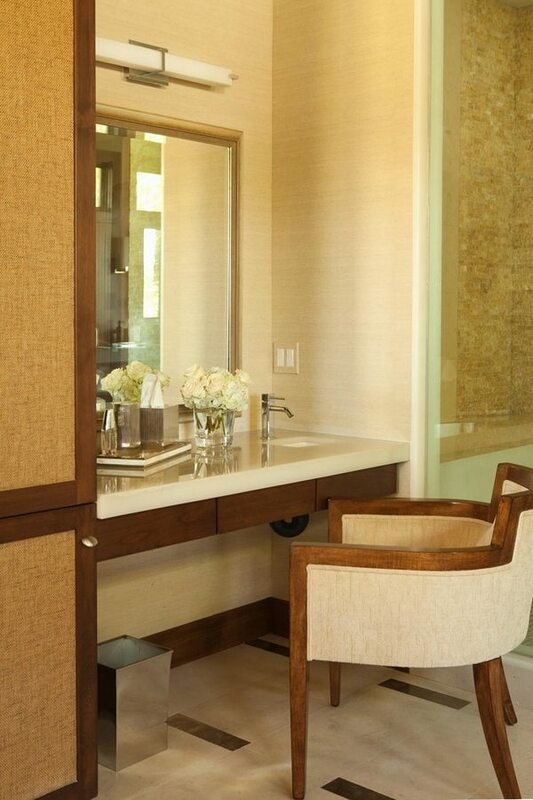 Finally – the stool which comes with the vanity should match the style of the furniture. 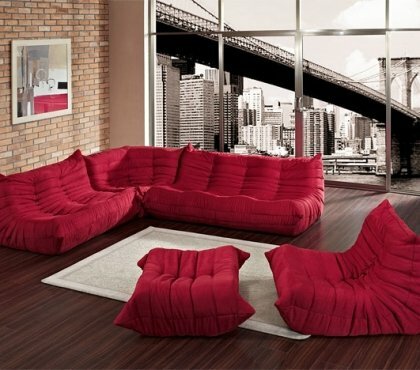 Stools are usually padded and upholstered for comfort.